"I don't usually go off course, but when I do it's for at least 11 miles." The Most Interesting Man in the World whispered these fine words into my ear as I prepared to start the Golden Gate Dirty Thirty 50K for a second time last Saturday. How in the heck did I run 11 miles to find myself back at the Start/Finish area approximately 1:45 into the race? Well, let me tell you. ***DISCLAIMER*** I ran this race in 2012. Which means I should know where the heck to go. However, I did go off course that year as well! It must have been the zero dark thirty wakeup. At 3:10AM I got the body vertical. By 3:29AM I departed in the Fifty for the meandering trails of Golden Gate State Park. Driving up the tight twisting Golden Gate Canyon Road I almost hit him. Sasquatch lumbered across the road looking as tired as I felt. He must have slept terribly too. I felt sad for the hermetic beast who has eluded countless hunters and scientists for the past 100 years. As the brakes locked down and tires screeched I made eye contact with the living legend. Deep turquoise pools set beneath a furrowed brow looked inside of me. This was going to be a day to remember. As a tribute to my sighting I donned my PI turquoise singlet and boarded the shuttle bus for the final miles to the race start. No one believed my story as I zealously described what I had witnessed 30 minutes earlier. I was frustrated and upset. Why doesn't the world believe in Bigfoot? As I applied the sunscreen and waited in line for the john I mulled over what I must do. Prove it. Race be damned I had a new mission. I lined up for the start like I've done dozens of times. Game on. It was the Search for Sasquatch. The race started and we were off. No sign of him yet. I stayed close to the front to make sure I had a perfect vantage point if anything were to happen. As we approached the creek I saw them. Truly remarkable. 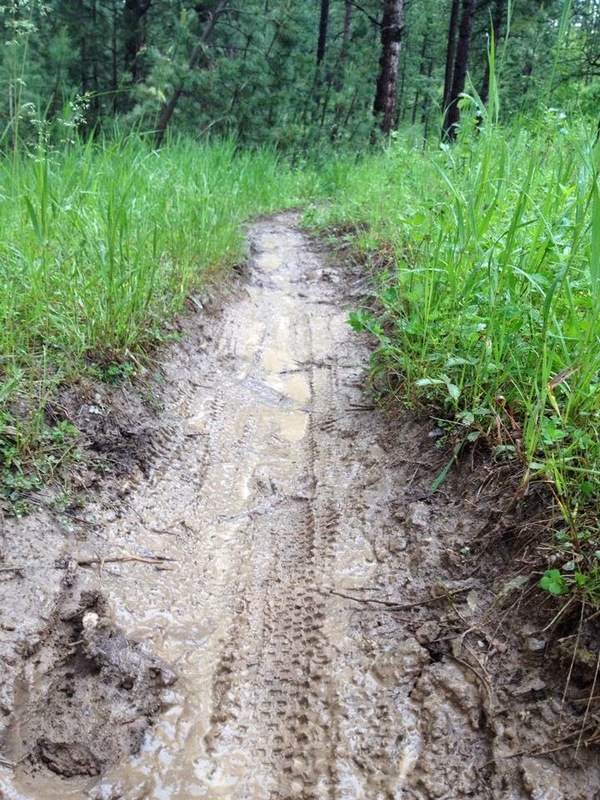 Twenty four inch footprints perfectly cast into the thick mud. I was on course and hot on his trail. Approaching the first aid station I was in third. As I got closer all I saw was wide eyes and pale faces. The volunteers simply pointed. I knew they had seen him. Chasing down a sasquatch is not an easy task so I made sure to fill my bottle and grab a few extra gels. 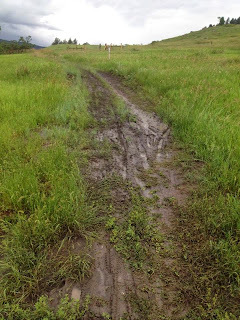 I continued on and then veered left at the post. 4th and 5th came with me. They must have seen him too and knew this quest was much more important than their finishing place in a race. There he was! I could believe it because I saw all the evidence. 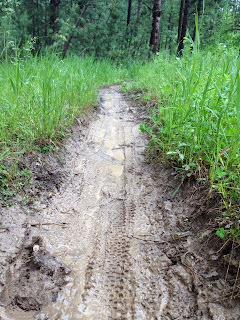 The prints in the mud. The tuft of hair in the post. If I quickened my pace I would catch him in a few minutes. I was committed. With each step I grew closer. In my excitement I had separated from 4th and 5th and was on my own in this journey. The gap was shrinking. I began to panic. What would I do once I caught up to The Bigfoot!? He could totally crush me. Let's crunch the numbers: 68 inches, 145 pounds vs. 108 inches, 503 pounds. Why didn't I think of that earlier? As with most Sasquatch Searchers I got caught up in the chase. It's a fever that spreads like wildfire in your thinking. Rational thought gets chucked aside and replaced with youthful abandon that lives simply in the present moment. "I am you. Find meaning in your journey. Sometimes it will be clear, you should continue. Sometimes it will be unknown, you should continue. Sometimes you will want to quit, you should continue. Sometimes you will make mistakes, sometimes you will be on cloud nine. Sometimes you will fall, sometimes it will be routine. You should continue. I am you. You should continue." 2nd- Paul Hamilton: He's my pick for the title this year. 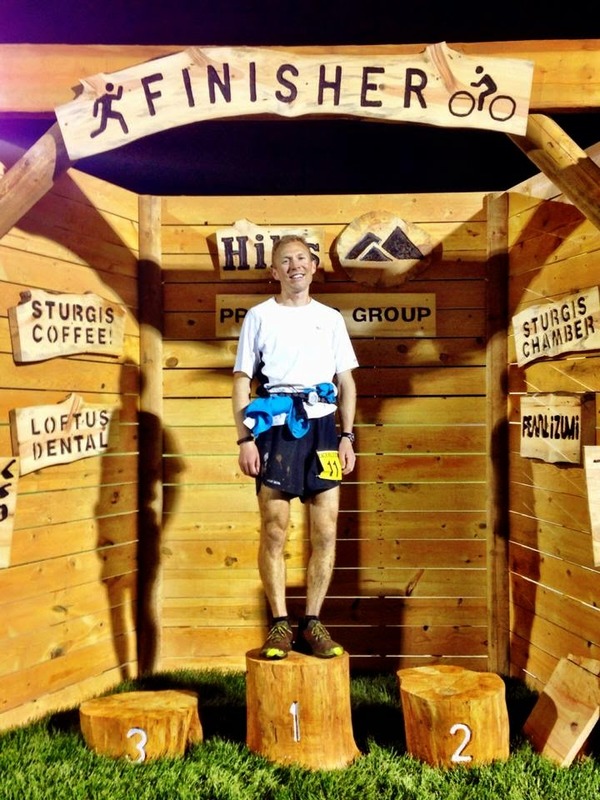 In February he ran a blistering sub 4 hour finish to place 2nd at Moab's Red Hot. If he falters it will be due to lack of experience in the 50M distance as this will be his second attempt. 3rd- Ryan Burch: In February he shocked the PNW by racing Orcas Island 50K in a Broncos shirt the day before Superbowl Sunday. His second place showing was a bad omen as the Broncos followed suit the next day. In March he was 6th at Salida, 4 minutes slower than his 2013 finish time. He's put in 6 quality track workouts on Tuesday evenings chasing J-Lid and Ruth around the oval. He's got the home team behind him on this one! 5th- Jim Rebenack: No results to report in 2014. He finished 2nd at the inaugural QR. He'll be ready to roll. 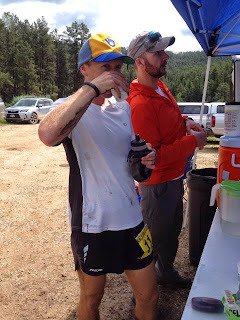 6th- Jason Koop: 2014 has seen him 9th at Red Hot, 8th at Salida, and 2nd at the Zion 100. Two weeks after Zion he threw down a sub 2:40 BOSTON! That's what I call recovery. He's another repeat QR finisher taking the bronze in 2012. 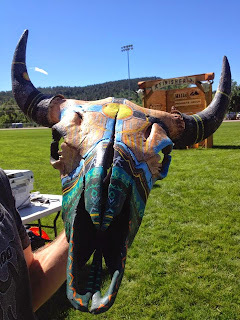 8th- Mike Hinterberg: 25th at Salida this year. He's looking forward to returning to his former backyard trails and improving on last year. 9th- Bryan Williams: No results to report in 2014. 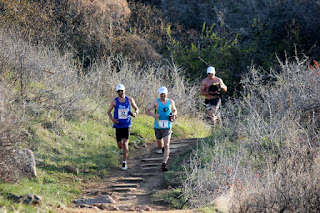 He's put in some training miles on the course this year and will be building up for Western States in June. 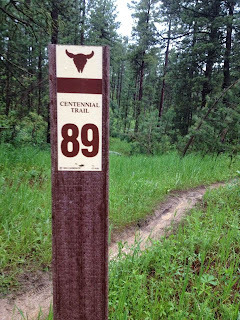 Jared Hazen: This TEENAGER crushed it at RR100 in February blitzing a sub 14 hour finish and earning a spot at Western States. 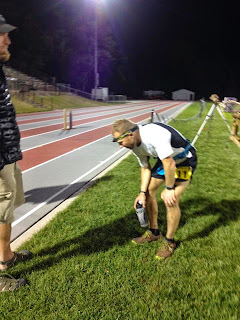 In 2013 he won the Oil Creek 100. 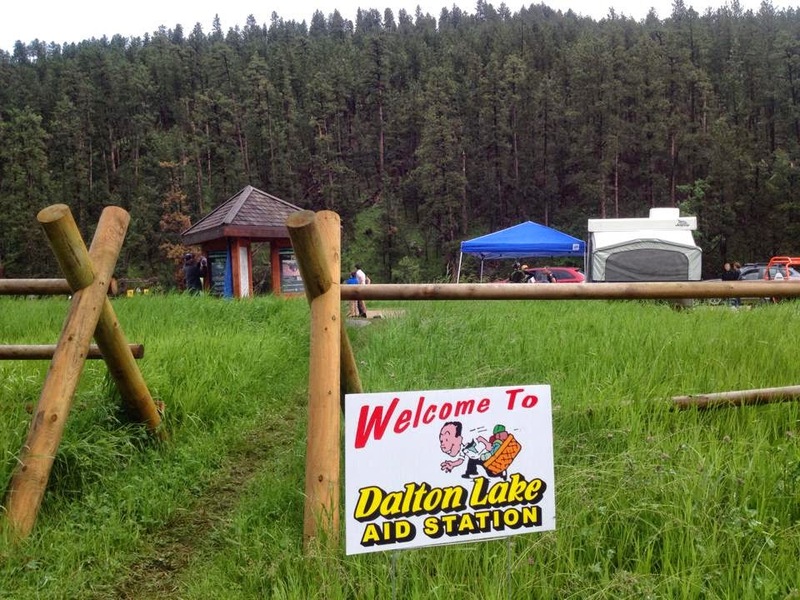 It's safe to say that Dakota has inspired a new wave of ultra-runners younger than himself. Zeke Tiernan: A strong 5th place at Red Hot in February. With a new addition to his family he has been busier than ever. Hopefully all the miles chasing the kids will propel the CU All-American to a top finish. Jon Anderson: He's registered for QR every year. Hopefully 2014 will see his first start and finish at the race! 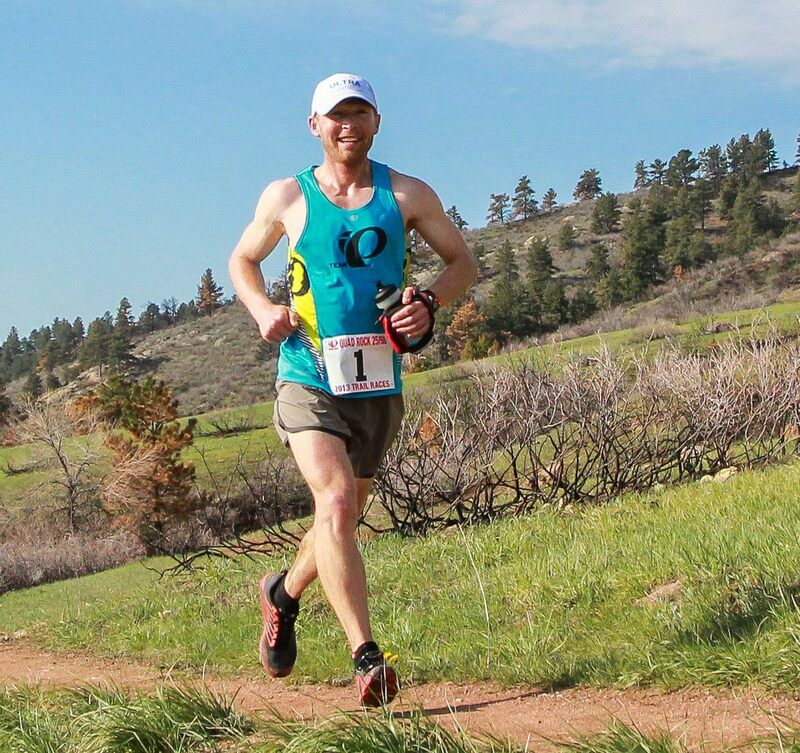 Lewis Price: The FC local ran a solid 4th at Antelope Island 50K in March. He will be looking to avenge a tough go at Collegiate Peaks 50M from last week. Jason Ostrom: The FC Birmingham local is a dark horse. Don't let his most current 2008 Ultrasignup finish fool you. He's been training on these trails regularly and looks to silence any naysaying from RD Clark. 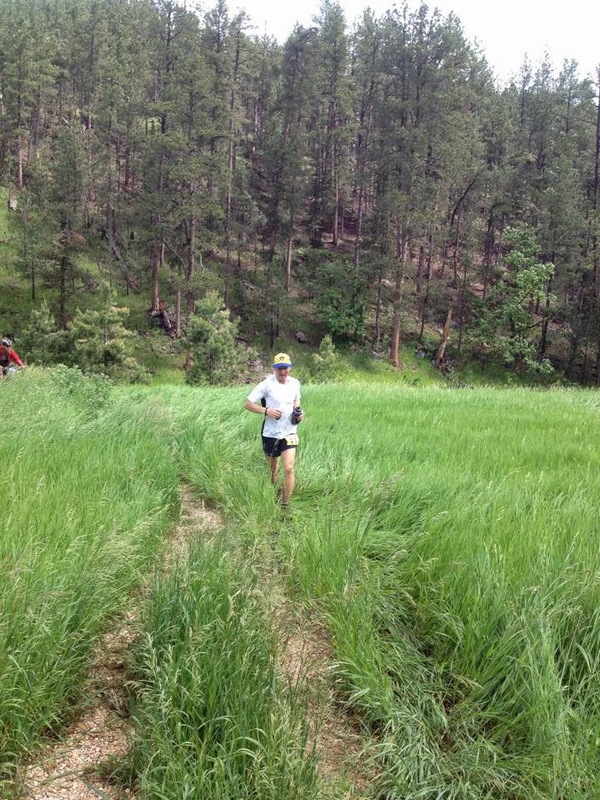 Patrick McGlade: 7th at Salida. I outkicked him for 6th. He's on the radar now. Bryan "BG" Goding: His last finish was QR25 in 2012. He'll be dusting off the shoes for this one and parking the bike on Saturday. I've seen him training at Maxwell and Centennial Dr...on the bike. He knows these trails and might surprise a few. Notes: The year started off great with a PR at Moab (5th time at race) and a solid race at Salida. Notes: Experienced some fatigue and sickness at Lake Sonoma resulting in a sub par performance. Rebounded at Quad Rock despite lingering fatigue. Left for TX on May 22 which kicked off my inspirational running options of the: track, treadmill, or flat pavement on Goodfellow AFB. The miles = my motivation during this time. Notes: Returned to CO and civilian life on Sep 18. Ran Towers Sep 19. In one 3.4 mile, 1700 ft.ascent I gained more vert in :36 min than I did during 4 months in TX. The body rebelled returning to regular running. 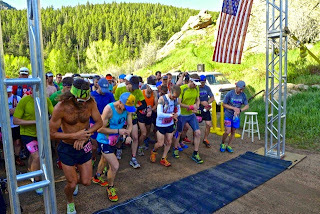 Super tight calves, twingey hamstrings, and other hitches in the giddy up started the comeback on a slower than anticipated return. 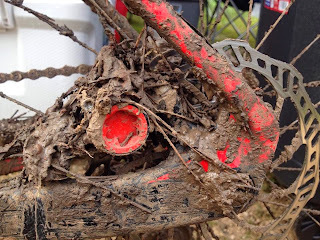 Notes: With 2 weeks of running under my belt I ran a decent race at Bluesky given the circumstances. Decided to race my way into shape having a blast in the snow at Silent Trails the weekend after. Enjoyed getting back on the horse at Lory and Horsetooth. Capped off the year running under some cloudless NV skies and enjoying some logging trails next to Lake Tahoe. Totals: 2378.6 miles, 369:53 run time, 122 days off, 6.5 daily avg, 46ish miles/wk avg. Memorable Moments: Watching the Ultra Community come together and fund a trip for Bill Dooper to spectate at the 2014 Western States 100. This was the first thing that came to mind and I'll leave it at that. 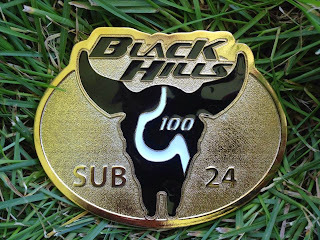 Jun/Jul- TBD- Black Hills 100? Speedgoat? Thoughts: I'm looking forward to getting in consistent training this year and improving my 100 mile game. A few notable changes for the year: I've been doing two-a-days every day. This surprised Clarkie's ears when I made my intentions known. In the past I have not been a big fan. Life is all about perspective. So here's the goal- Run at least 3000 miles for the year and walk the dog at least 500. Run and walk each day. Yup, walking the dog is now part of my official training plan. My mornings start with a 2 mile tempo at 3 MPH, it's epic! The mitochondrial proliferation during this time is through the roof. During an average week I'll put in 14-15. During high volume I hope to hit 18-20. Bailey Monster is stretching his paws in anticipation as I write this. Game. On. GRRR. Diet: Over the past few months I've been transitioning to a high fat, lower carb eating plan and have gone 98% gluten free. After learning more and picking up tips from OOJ, FastEd, and K-Rob it has been a quality process of deconstructing a lot of the food beliefs I had built up in my life. I like the idea of a consistent fuel burn vs. the ups and downs of insulin response with carbs. I like the idea of eating nutrient dense food vs less useful calories that are more abundant in grains. I like the idea of less inflammation in my body. I've noticed more satiation eating a high fat/smaller portion meal vs. eating a low fat/larger portion meal. I've noticed improved joint health which I think is simply having more healthy oils in my diet and a decreased inflammatory response from a number of foods. These are a few of the insights/experiences I had while experimenting with this method. I'm also intrigued to see how it affects my overall racing and training throughout the year especially at the 100 mile distance. Breakfast then: A huge bowl of my oatmeal blend. Breakfast now: 4 eggs fried in coconut oil, topped with half an avocado and salsa. Lunch then: A huge PBJ, banana, granola bar, and other fruit. Lunch now: A huge hearty salad with tons of colorful veggies, avo, nuts, and seeds. Apple slices dunked in almond butter. That's the gist. I'll spare the details. Here's to a happy and healthy 2014 with positive change. Been a long time since I rock n' roll'd. It was great to get back on the trails and race this past Sunday at the Bluesky Marathon. Coincidentally, it almost did not happen. Returning back to regular running over the past two weeks has been a much more difficult transition than the experience I had a year ago. In 2012 I went to Basic Training, hardly ran, came back, seamlessly returned to training, and won Bluesky. Fairytaleesque. 2013 I completed Firefighter Academy in TX, ran 15-25 miles/week, came back, the body rebelled to training, and I was 19 minutes slower at Bluesky. The day before the race I celebrated my B-Day and reflected on the past year. Despite running more in TX I was not into it. Monday through Friday my options were the track or treadmill. On the weekend I could run around base if I found someone to join me. Thankfully there were two guys that enjoyed seeing more than the oval so we would get out for one of the days off. I saw way too much of that track over my four month stint. Lanes 7-8 showcased dead baby scorpions that did not scurry fast enough to make it home to the surrounding rocks. The things you notice when you run in circles day after day. Coming home I was once again refreshed to hit the dirt. My first run was Towers. BUT the 1700 feet of climbing in that run was more vert than my four months in TX combined. My calves hated me. Super tight. Hobblin' around OMB style. Coming back to the dry climate my feet cracked and split. My lower back ached. My body was out of sorts and I was a mess. I managed to put in a 60 mile week during my first full week back. Topped it off with a 12 mile long run. My longest run since Quad Rock 50 in May. Was I really gonna race Bluesky? This is the question I asked myself many times on Saturday night and race morning. What would you pick in my situation? 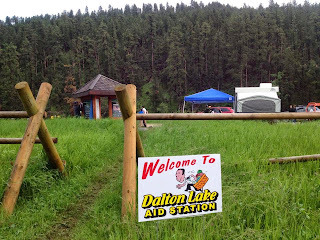 I could have stayed up all night, had a Breaking Bad marathon, and then showed up and volunteered at the race. Or I could run a marathon on a rusty set of wheels and get an intimate look at my off the couch fitness. I hoped it wouldn't be a disaster; but I really wanted to get through Season 2! In the end I compromised and stayed up until midnight watching Walter White's web weave itself through the ABQ. When the alarm went off at 5AM I almost ditched the race once again...funny what goes on between the ears. The race started and I felt great! Until I started the grind up Towers. Ugh. The short of my race report was my legs ached for 20 miles and were super heavy. I ran steady eddy all day passing 3-4 runners during the return from Devil's Backbone. Definitely glad I chose to race and establish a base to grow on as I move forward with the necessary consistency that's been lacking. 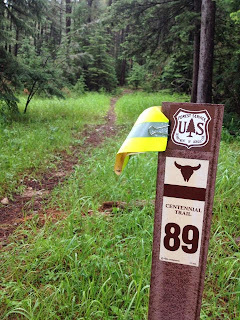 May- 96 miles, 24 days off. June- 78 miles, 13 days off. July- 90 miles, 14 days off. August- 70 miles, 17 days off. September- 108 miles, 16 days off. Last but not least... Congrats to locals: Nick Davis, Justin Liddle, Sam Malmberg, and Corey Hanson who raced up front all day; each setting PR's at Bluesky in the process, awesome! Michael Aish- Ran in the 2000 and 2004 Olympic Games for NZ in the 10K and 5K. 4 Time All-American at Western State with individual titles in '99 and '01. He's 2 for 2 at winning the 50 milers he's entered. Even with limited Ultra experience it's tough to bet against this level of ability. Trent Briney- 3 Time Olympic Marathon Trials Participant with a 26.2 PR of 2:12! 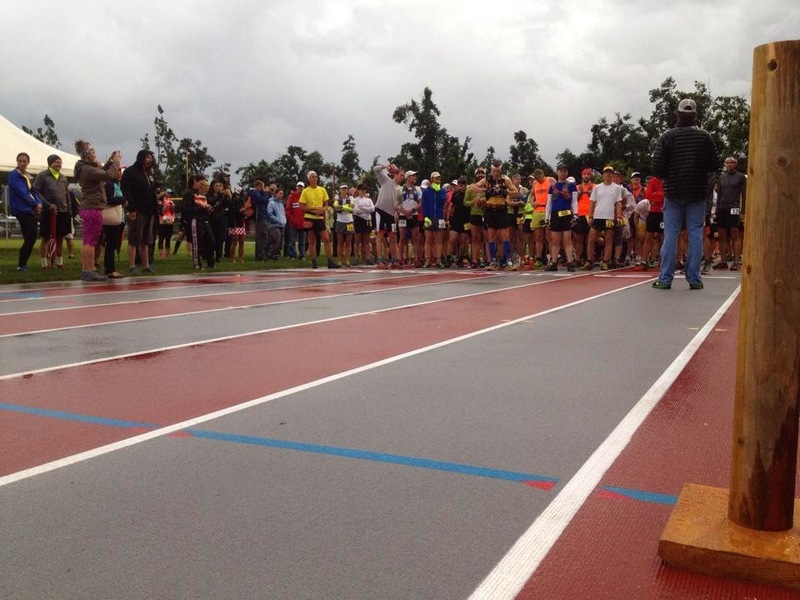 One of the fastest times ever at JFK 50 with a 5:37. 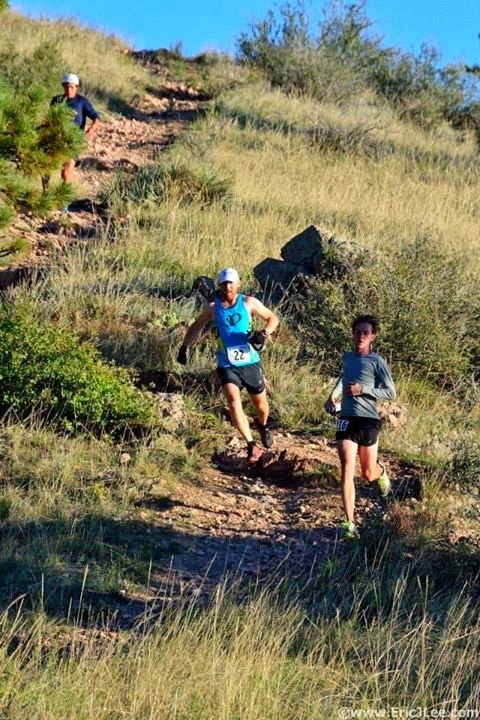 Was 2nd at the Crown King Scramble 50K in AZ this year. Another raw talent who's familiar with racing the top competition this country has to offer. Josh Arthur- new to the Ultra scene with a few results under his belt. 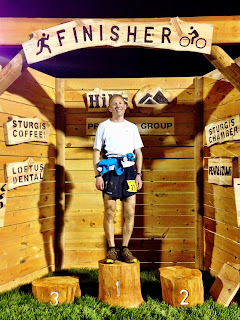 Was 2nd at Cascade Crest 100 in 2012, his first time at the distance. Has two 50 M finishes, nothing electric. 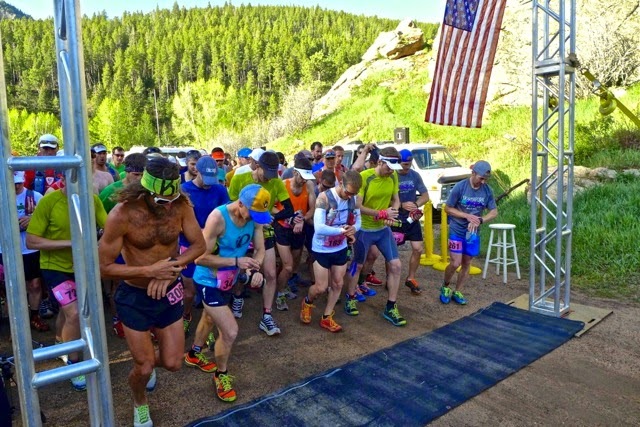 What stands out is his 2013 campaign with wins at Salida and Fruita marathons. Look for him to flip the switch this weekend. Karl Meltzer- He's running super smooth this year. 4th at Bandera, 5th at Moab, 1st at Antelope Island 100 with a 14:34! A deceptive 14th at the uber competitive Lake Sonoma last month. I have a feeling things are setting up nicely to challenge Clark's WS/HR record. This may be the perfect tune up he needs. 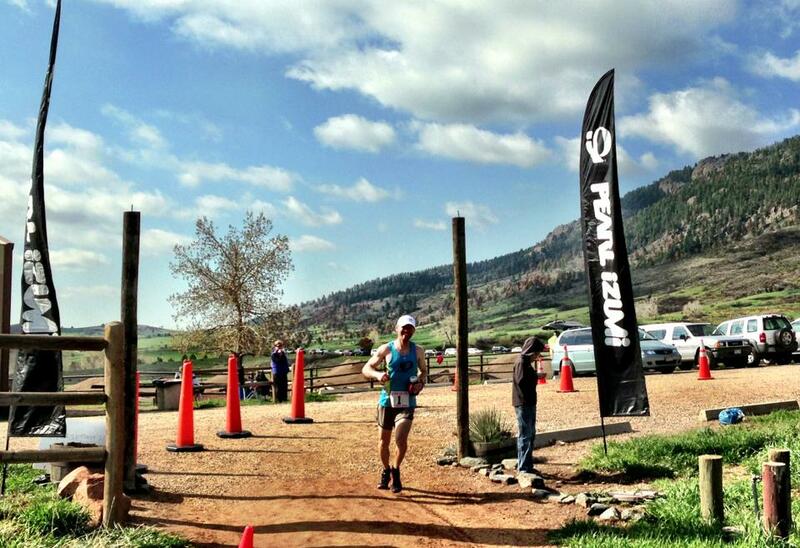 Ryan Burch- the defending champ had a solid start to '13 taking 3rd at Moab and 5th at Salida. 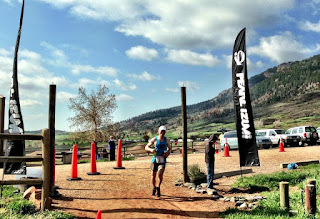 A sub-par performance at Lake Sonoma increased the fatigue he had been experiencing. It was an interesting last month to say the least. The ball could bounce either way on this one. However, home field advantage rules in his favor. The friendly confines of his backyard trails hope to give him that spark. Jim Rebenack- the 2012 silver medalist was 7th at Chuckanut this year. It's amazing how much this guy flies under the radar. Watch him move through the pack in stealth mode once again. Jason Koop- took the bronze after racing a ton before Quad Rock last year. This year he only has a 50K under his belt. Will the fresh legs speed his steps this year? Paul Terranova- Having a great '13! 3rd at Bandera, 2nd at Nueces, 1st at Hells Hills, 1st at Squawk Mtn. He knows the course and looks to make an impression this weekend. John Anderson- no 2013 stats. 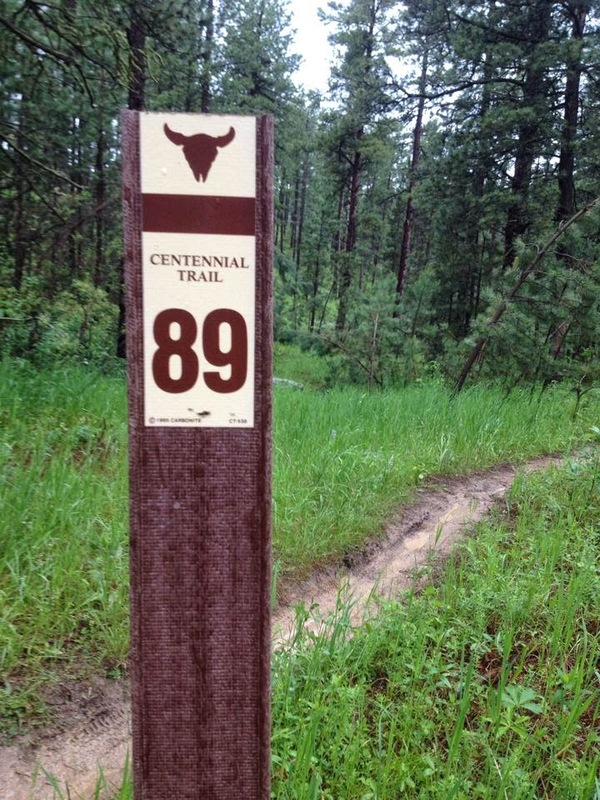 Won the North Fork 50k last June. Solid and tough, don't forget about him. Troy Howard- 1st at the Destin Beach 50K in February. Tons of experience. David Ruttum- he's my sleeper of the bunch. 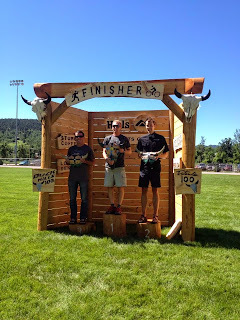 Went sub 7 hours at the Leadville 50 and ran a 7:01 at Collegiate Peaks in the past. Will be interesting to see where he lands on Saturday but he may quietly surprise a few. Sam "Man of the Hour on Towers" Malmberg- No one has been faster than this guy on one part of the course. 13th at Moab this year. I really want him to have a break out 50M performance and turn some heads. Will it be this weekend or at Pikes Peak 2014? Why not now. Jenny Pierce- reigning queen. No 13 results. Kris Klotzbach- bronze medalist. No 13 results. Kerrie Bruxvoort- 1st at Zane Grey. I'm picking her for the W.
Anita Ortiz- has the pedigree. No results in 13. Becky Wheeler- no results in 13. Kristel Liddle- the hometown girl was 4th last year. Looking to make some noise this year, she's 2 for 2 taking gold in both her races with a CR at Antelope Island 100M. Alyssa Wildeboer- 3rd at Terrapin Mtn 50K this year. Katherine Metzger- 3rd at Cedro Peak this year. Meredith Terranova- 1st at Squawk Mtn this year. Francesca Conte- 13th at Lake Sonoma this year.